Definition at line 2860 of file CCopasiXMLParser.h. Definition at line 2867 of file CCopasiXMLParser.h. 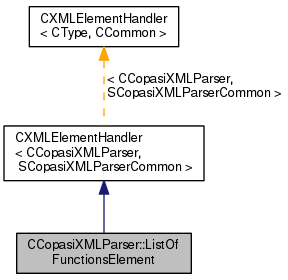 Definition at line 646 of file CCopasiXMLParser.cpp. Definition at line 651 of file CCopasiXMLParser.cpp. 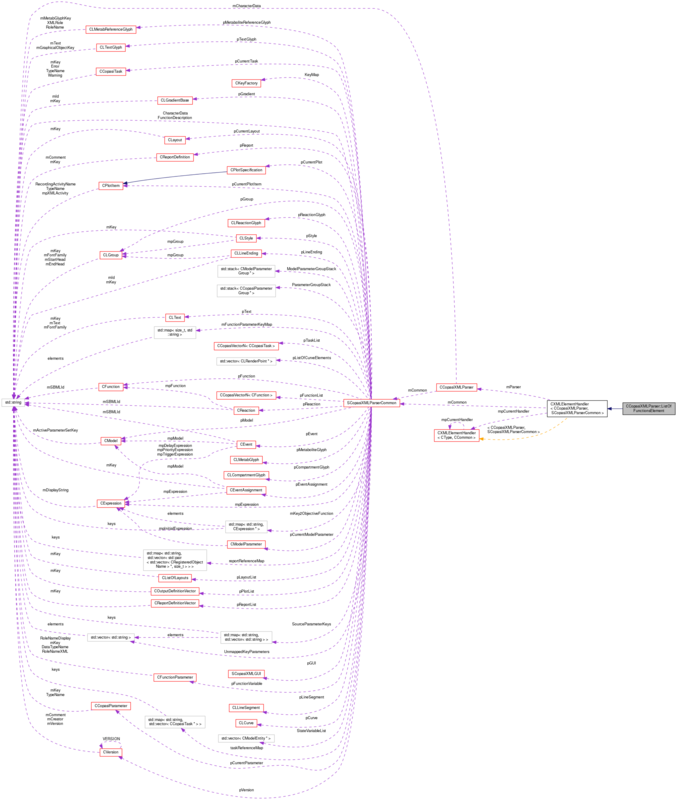 Definition at line 700 of file CCopasiXMLParser.cpp. References C_INVALID_INDEX, CEvaluationTree::compile(), CCopasiMessage::EXCEPTION, CCopasiObject::getObjectName(), CCopasiXMLParser::mCommon, MCXML, CExpatTemplate< CExpat >::mParser, SCopasiXMLParserCommon::pFunctionList, CCopasiMessage::RAW, CCopasiVector< T >::size(), START_ELEMENT, and UNKNOWN_ELEMENT. 725 // We can keep the function as the compile is later checked again. Definition at line 656 of file CCopasiXMLParser.cpp. References CCopasiMessage::EXCEPTION, CCopasiXMLParser::mCommon, MCXML, CExpatTemplate< CExpat >::mParser, SCopasiXMLParserCommon::pFunctionList, and UNKNOWN_ELEMENT.